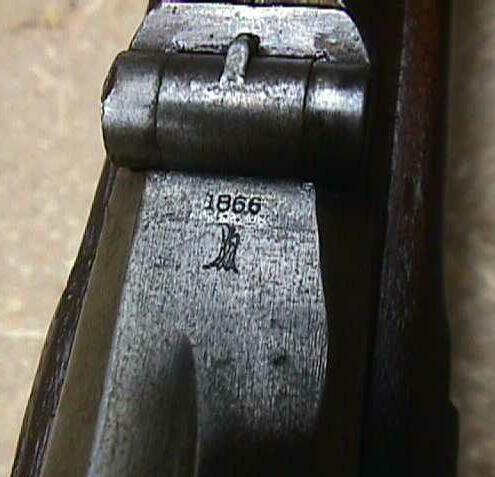 Model 1866 rifles ("Second Allin") were produced at Springfield Armory starting in the first quarter of 1867. 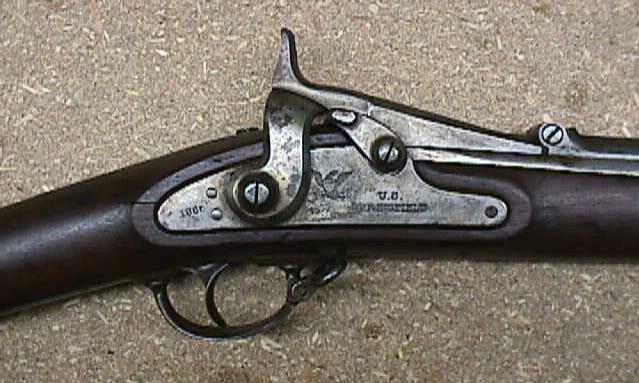 A total of about 52,000 rifles were made between 1867 and 1869. Half of these rifles were sent to Europe for the Franco-Prussian War and later destroyed. Only about 26,000 remained in the US. 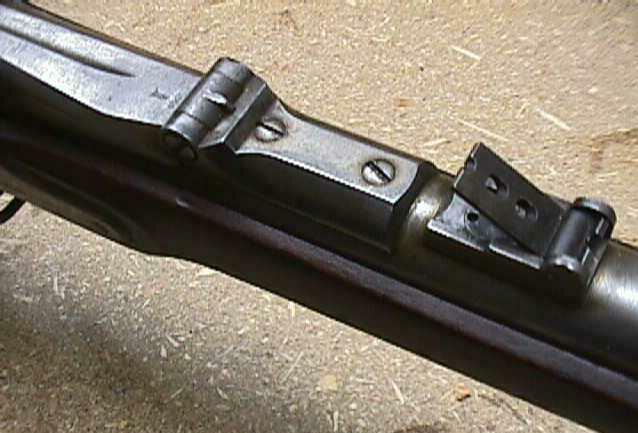 The rifles were made by sleeving CW musket barrels to .50 caliber and cutting open the top of the breech for the hinged breech block. 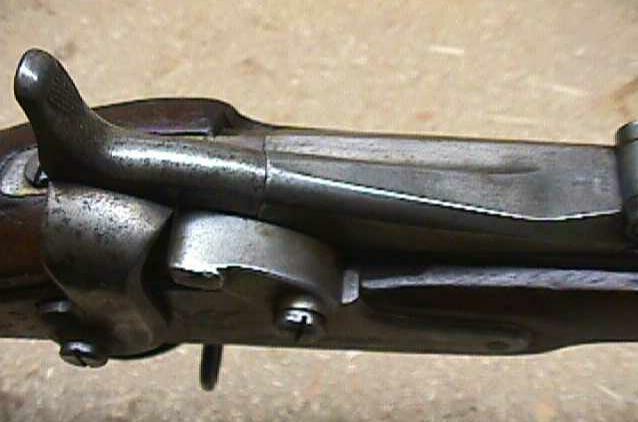 The barrel is finished in the bright, and the blackened breech block is dated "1866." 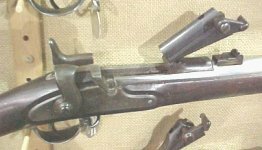 The arm is equipped with a musket rear sight and a CW stock which was internally altered to accept the extractor and ejector mechanisms. 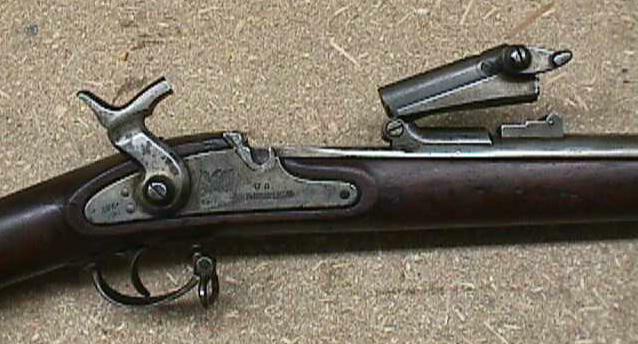 The arm had a weak extractor mechanism and was not popular with troops. However, it is best known for its performance in the Hay Field and Wagon Box fights that occurred with Sioux and Cheyenne Indians in 1867.